Power imbalances in the workplace create morale problems. Remember that nasty teacher who was never happier than when she had a kid squirming in her sights? How about the time your parents left your older brother in charge and he fed you partially frozen fish sticks, hogged the remote and made you rub his feet? Wherever power imbalances exist, those holding the power may abuse it. At work, where power imbalances are built into the system, it’s important to pay attention to the power dynamics around you. By understanding power at your company, you can protect yourself while improving your own position. First, know that power itself is neutral. 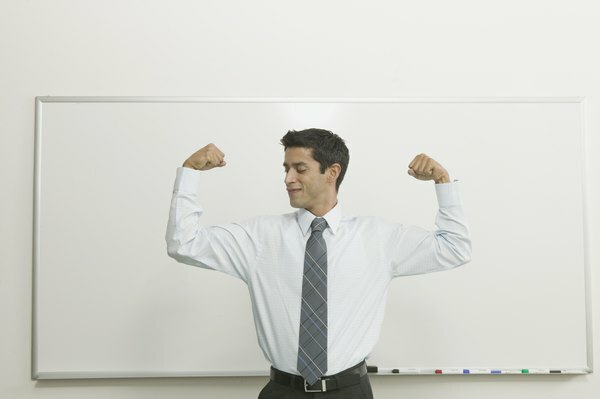 Whether workplace power becomes a positive or negative force depends on how it’s used. When someone powerful goes over to the dark side of the force, a workplace becomes gloomy. Abused power can turn into bullying and bad outcomes for the target, including overwork and losing access to opportunities and resources. Power used constructively, meanwhile, can make whole companies flourish. A manager can use her influence to help subordinates get career-enhancing training and promotions. A subordinate can use influence to help her colleagues and negotiate raises. No one is actually powerless at work, no matter the imbalances in play. Even better, you can increase your power. Clout has several sources. Supervisors have power by virtue of position. An employee gains power by becoming an expert in matters important to the company or to fellow co-workers. Experience and information both provide power boosts. Information can be had through the grapevine; just make sure sources are credible. Though the boss distributes official news, informal company networks can be more effective in cluing you in to insider knowledge. Finally, anyone can gain power with likability and a strong character. Someone’s got to make the decisions, distribute the work and keep people on track. Companies establish all that by creating an organizational structure. The structure frames the decision-making hierarchy, giving authority to managers. This legitimate power lets bosses give rewards such as raises or penalties such as undesirable work assignments. A company’s structure reveals a lot about its power dynamic. A top-down, authoritarian structure least empowers employees and has many rules. Employees are most empowered in companies that rely on teams. The matrix structure gives every employee two bosses. Sometimes one boss has more power than the other, creating conflicts. Since information is power, arm yourself by learning your company’s formal procedures for reporting and resolving power abuses. It’s worth it: Florida International University reports that workplace bullies usually target women, men targeting women 69 percent of the time, while female bullies do so 89 percent of the time. Most bullies are bosses. 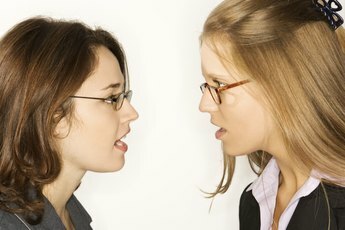 Learn what you can about conflict resolution, negotiation and interpersonal communication. By constantly improving your power base, you can resist the negative influence of the overly powerful. 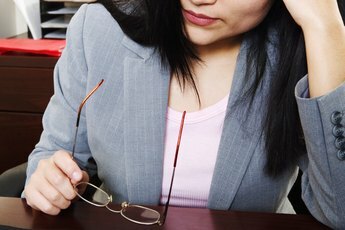 Beyond Bullying: What Is Bullying at Work?